OPCO’s precision windows are available in 400mm diameter (standard) and 2mm (micro optics) diameter configurations. They offer tolerances to 10 microns, centration within seconds, and surface accuracy to Lambda/20. OPCO’s line of precision windows includes borofloat, heat absorbing, calcium fluoride, magnesium fluoride, zinc selenide, sapphire, silicon, cleartran, N-BK7, fused silica, ITO coated, and AR coated windows. 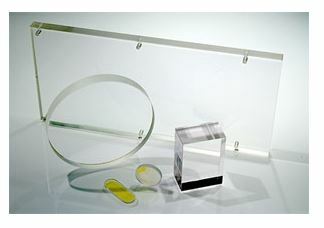 Diffusers, single surface optical flats, and dual surface optical flats are also a part of this line. For additional information, download the available datasheets.